Leaders of almost all the 20-odd political parties who shared stage in Kolkata on January 19 are expected to gather at Jantar Mantar. 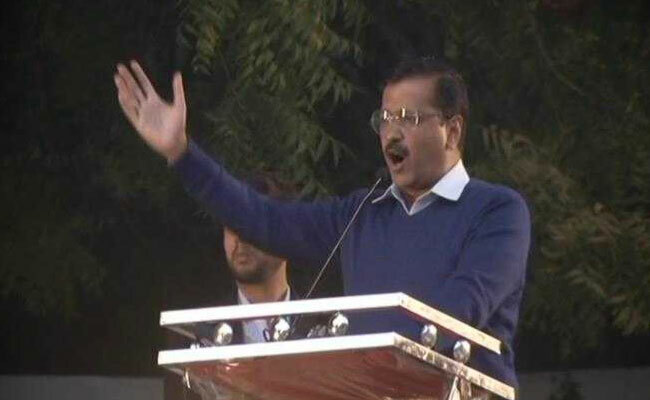 Lok Sabha polls: Arvind Kejriwal is holding "save the democracy" protest at Jantar Mantar. Three weeks after her mega rally in Kolkata, West Bengal Chief Minister Mamata Banerjee is attending the "Save The Democracy" protest in New Delhi for dharna (sit-in) where opposition leaders have united against the Modi government. The sit-in dharna at Jantar Mantar is being loosely labelled "Mahagathbandhan 2.0". "Narendra Modi knows he is not coming to power. His expiry date is over. Within 15 days, we will have election dates. We wants to see a new government, the country wants a change, the country wants to see a united India, where democracy and inclusiveness will be sustained," Ms Banerjee said in Kolkata before leaving for New Delhi. HD Deve Gowda, former prime minister, is in New Delhi, so is Sharad Pawar, Praful Patel, Kanimozhi and the National Conference leaders. Tejaswi Yadav is unwell and had not attended the assembly in Patna over the last two days. First of all, I want to congratulate Mamata Di. Just few days back, PM Modi sent 40 CBI officers to Kolkata police chief's home. This not a small thing. West Bengal is a part of India, Modi ji. By sending 40 CBI officers, Modi ji attacked an elected government. If on that day, Kolkata top cop was arrested, it would have sent a message that cops no longer need to fear anybody except the PM Modi government. Delhi chose the AAP government and gave us full majority. In the 49 days when we ruled corruption was weeded out completely. When the anti-corruption branch was attacked by PM Modi government, it was an attack on the elected government. In the newspaper report on Rafale, it has been revealed, PM Modi negotiated for the deal. Opinion of officers concerned were not heeded. West Bengal Chief Minister Mamata Banerjee in Delhi for "Save The Democracy" protest today said: "Today is the last day of parliament. The expiry date of Modi Sarkar is over." Sea of people at #JantarMantar to challenge the dictatorship of @narendramodi. 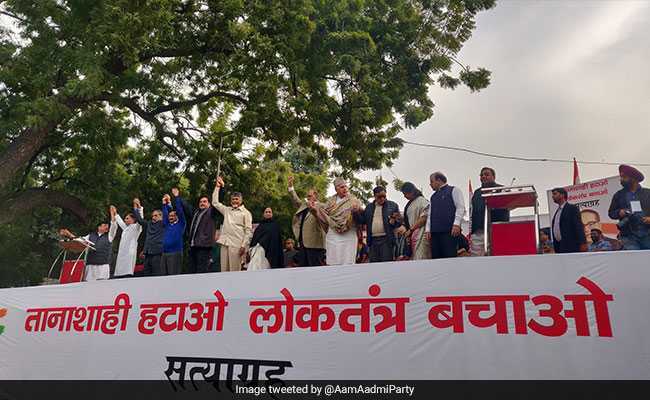 National Convenor and Delhi CM @ArvindKejriwal reached #JantarMantar for "तानाशाही हटाओ-लोकतंत्र बचाओ सत्याग्रह"
Senior leader of Left parties meet Arvind Kejriwal at Jantar Mantar. Countless freedom fighters laid down their lives for our freedom and democracy. We cannot forget their sacrifices and remain silent to the tyranny of any dictator. West Bengal Chief Minister Mamata Banerjee is in New Delhi to join dharna (sit-in) by opposition leaders to save the Constitution and democracy. The sit-in dharna at Jantar Mantar is being loosely labelled "Mahagathbandhan 2.0".